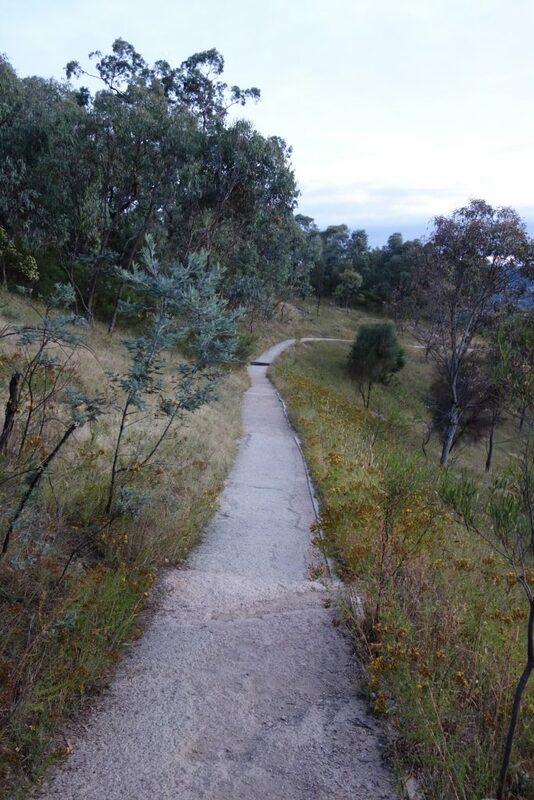 This hike is another of Canberra’s urban hikes contained within the planned green space of the city. 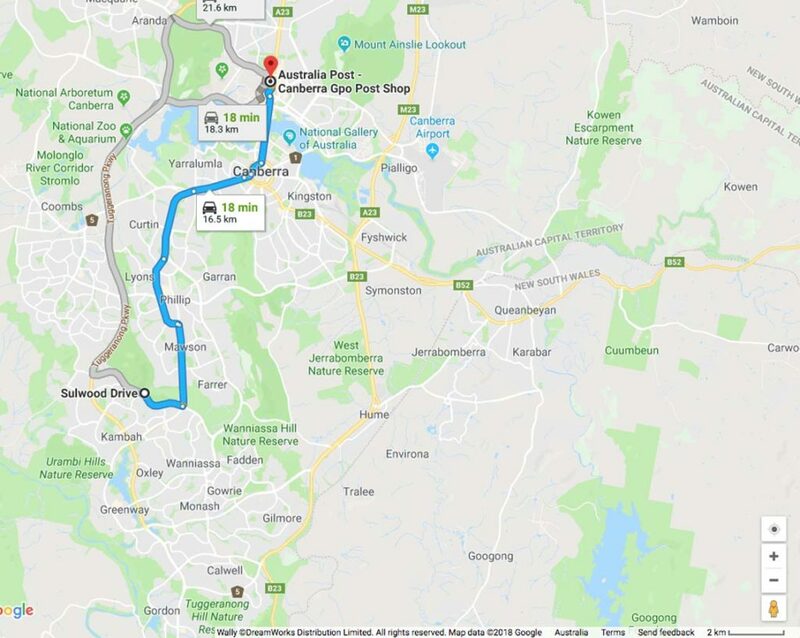 Easily accessible by foot from a number of different starting points in the suburbs that surround the mountain the Sulwood Drive starting point in Kambah is the best option for those travelling by car. I have done this walk over 300 hundred times but in doing so for this write up after a break of several years it was easy to notice the success of the revegetation program and trail upgrades. This has turned this walk into something more than just a form of exercise. 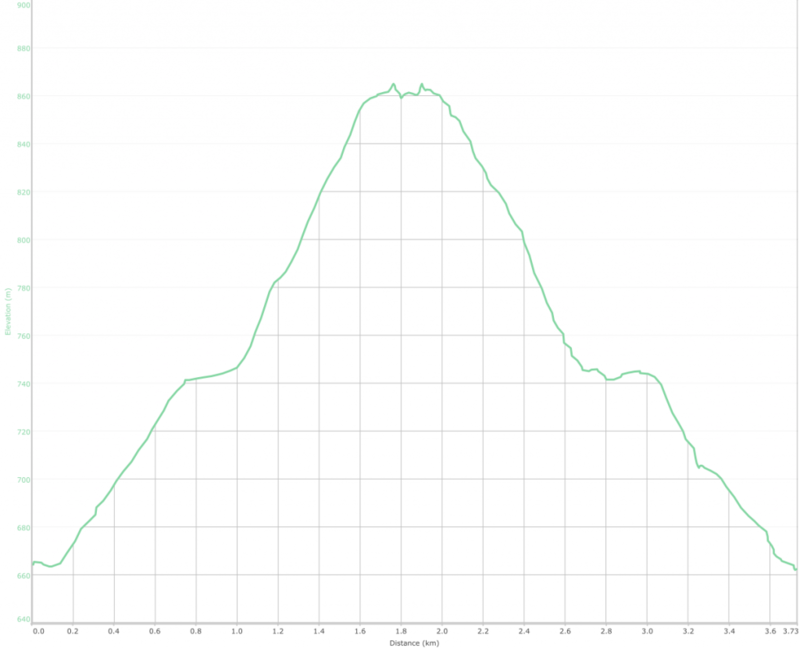 The start point of the walk is through a gated access road just next to the carpark and from there the trail has a steady ascent almost along the entire distance. The trail itself is sealed for most of its length turning to gravel towards the summit. 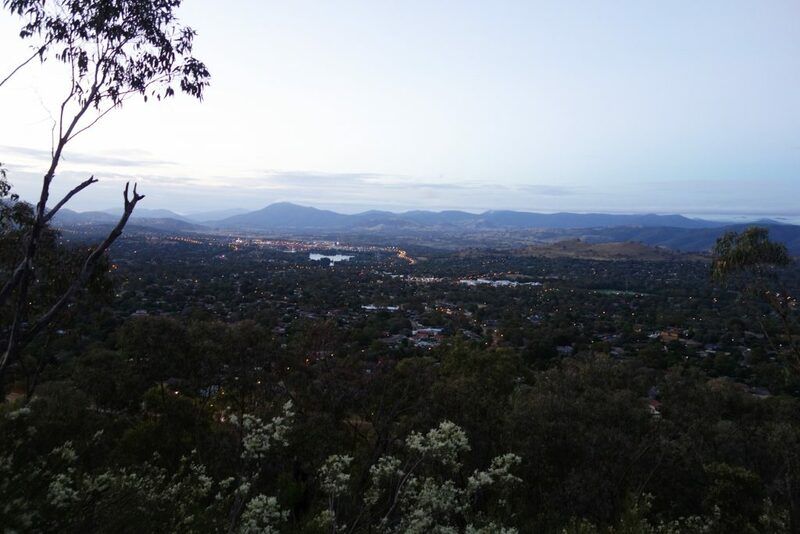 This walk provides views to the south over the Tuggeranong Valley and to the north over Woden Valley – it is the only peak in the area that will allow you to do this. 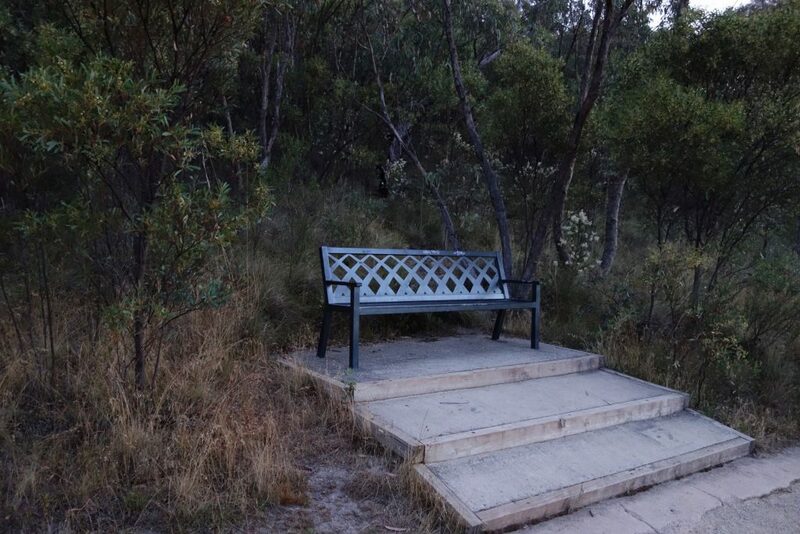 There are a number of seats along the trail to allow you to rest and take in the views. Near the base of the walk where the interpretive signage is located, it is not unusual to see mobs of Kangaroos. You may see snakes on this walk from time to time but with the number of walkers around, it is usually rare. 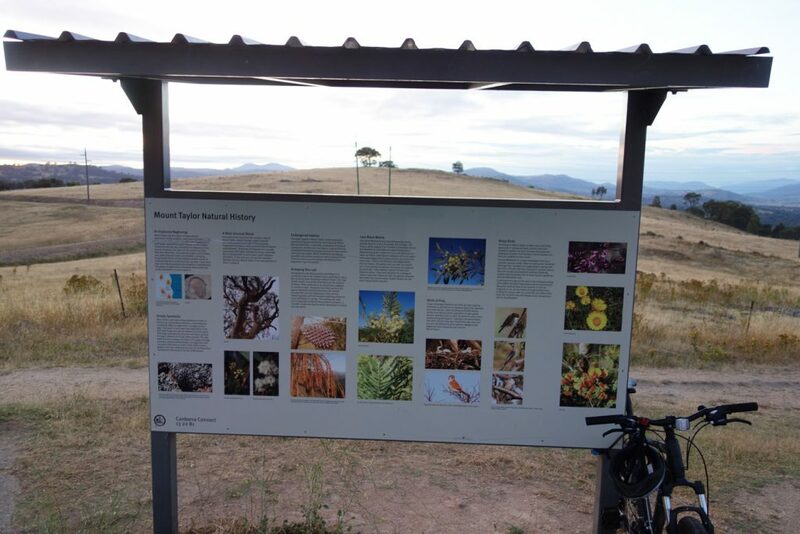 As you reach the summit there are large panoramic interpretive signs that identify all the peaks on the south side of the summit looking towards the Brindabella Range and Namadgi National Park. Another sign is on the summit itself looking over the northern half of the city. Mt Taylor is situated on the south side of Canberra between the suburbs of Torrens (Woden) and Kambah (Tuggeranong). 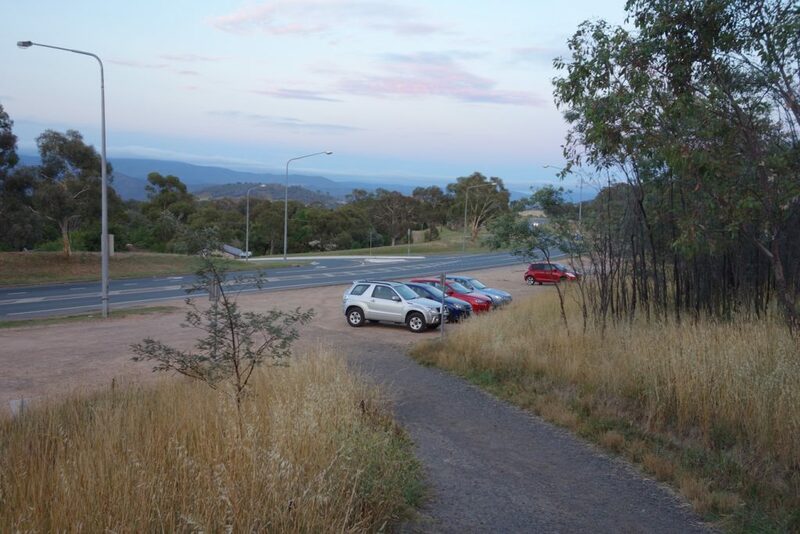 If you drive along Sulwood Drive, there is a dirt area that you can park on, which is located opposite the intersection with Manheim Street about 1.8km from the Tuggeranong Parkway. If you are coming from the Athllon Drive side, the carparking area is about 1.7km. At this location you walk along a well-defined access road for about 400 metres and you will be at the base of Mt Taylor. Alternatively, there is an entry road from Athllon Drive to the horse agistment paddocks (about 300 metres from Sulwood Drive northbound). From here, you can take a well-defined dirt access road and it is 1.4km to the base of Mt Taylor. If you drive further along the agistment access road beforte parking, you could halve this distance. While not creating the same feeling of remoteness that a number of other walks within the city have, I would suggest this walk for people who are not regular walkers or for those who have limited time. It is also an excellent walk at sunset and sunrise. 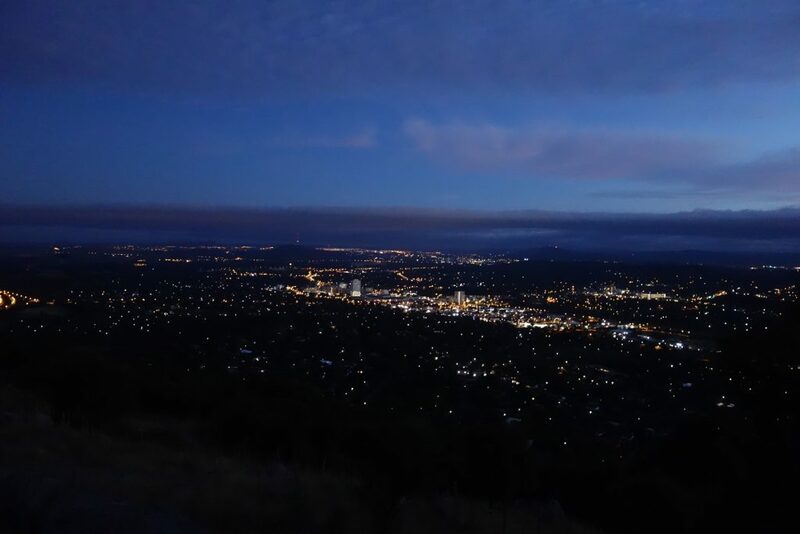 Mt Taylor is located between the Woden and Tuggeranong Valleys in southern Canberra with access to the main walk starting point located on Sulwood Drive. The unsealed carpark located at the start point is at the intersection of Sulwood Drive and Mannheim Street in Kambah. There is plenty of parking space available for at least 20 cars. 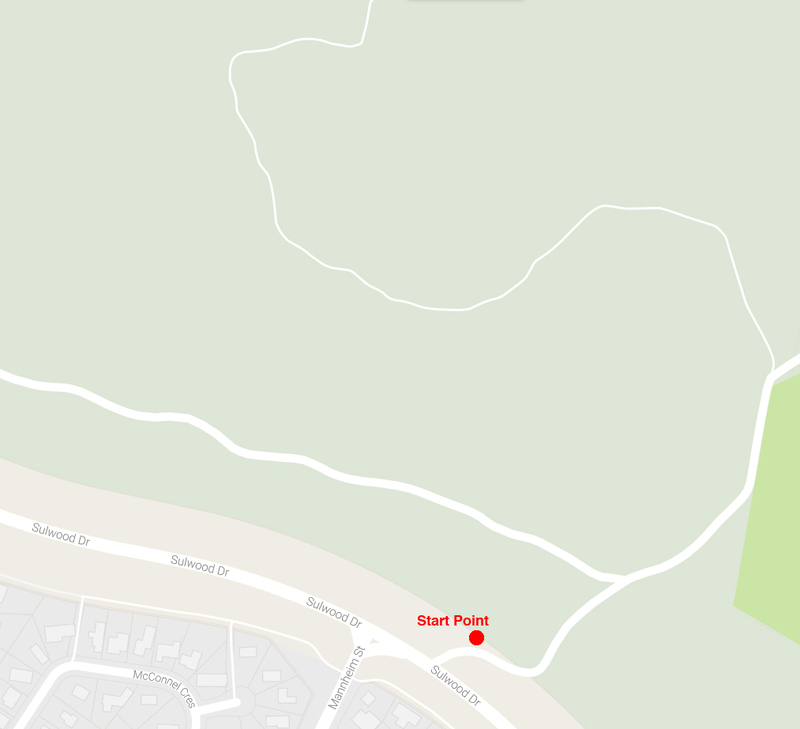 WP GPX Maps Error: File /www/wp-content/uploads/gpx/tim/Track_MT TAYLOR 055052.gpx not found!